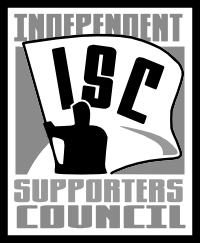 Our members and supporters across the league are alarmed by the recent punishment handed down by the league office to supporters groups of the Houston Dynamo, including ISC member the Texian Army. We, representing supporters from across the league, support the Texian Armys official response to this matter and ask that the league meet with the Texian Army and the other Houston supporters groups to review this unnecessarily harsh action. Furthermore, the Houston away supporters section at the 2011 MLS Cup was a supporters section in name only; it was a mixed group of fans, including both members of supporters groups and unaffiliated fans. It is one thing to ask the supporters to police themselves; it is not reasonable to ask them to police every Dynamo fan, especially on a trip where they were not given the opportunity to organize or screen the attendees. When supporters do travel, take attacks on them as seriously as you do incidents involving them. Traveling fans are regularly treated to racist chants and thrown items, not from other supporters groups, but from other fans in the stadium. They do not receive support or follow-up from security or the front office at these stadiums. This does more to contribute to ugly incidents like we saw at the MLS Cup than any number of flags or banners. If the league intends to punish supporters for incidents at games, work directly with the leadership of the affected supporters group first and give them an opportunity to appeal, rather than simply announcing an open-ended ban.